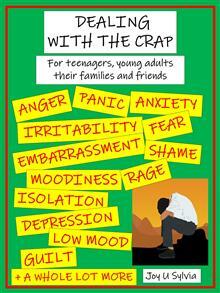 A mental health resources for teenagers and young adults (plus their families and friends) who are dealing with anxiety and /or depression and their many cohorts - anger, panic, fear, irritability, shame, embarrassment, isolation, rage, moodiness, withdrawal, low mood, guilt etc. 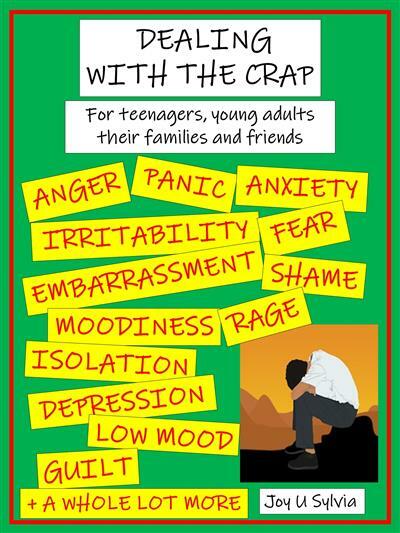 Dealing with the Crap is intended for teenagers and young adults (plus their families and friends) who are dealing with anxiety and /or depression and their many cohorts - anger, panic, fear, irritability, shame, embarrassment, isolation, rage, moodiness, withdrawal, low mood, guilt etc. - where it is affecting their lives negatively. It is an easy to follow book with bucket loads of practical advice and easy to follow steps which includes information on self cares, and improving the relationships within the home and with healthcare professionals. Joy Sylvia lives in NZ and is a former social worker and educator turned author. She has four published non-fiction books. Joy has worked in Corrections', Child Youth and Family (Oranga Tamariki), mental health establishments, been attached to the NZ Defence Force - YDU, and worked with numerous NGO's in NZ and Australia.